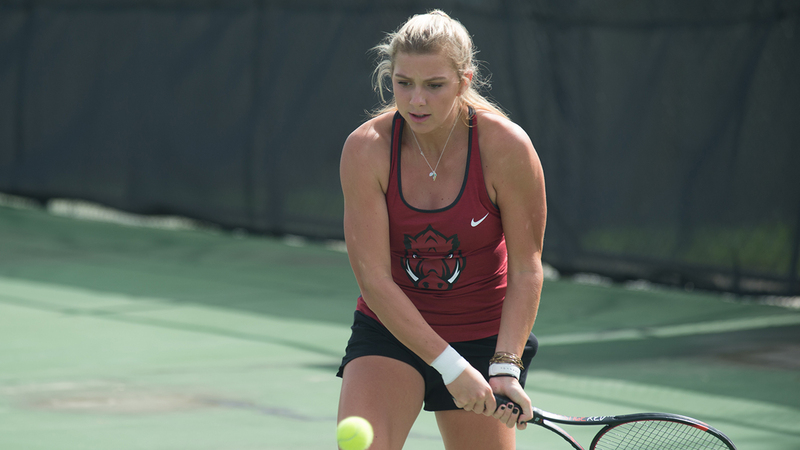 FAYETTEVILLE, Ark.- The Arkansas women’s tennis team will open its 2019 campaign with a doubleheader at Kennesaw State Friday afternoon before returning to the Hill Sunday to host Saint Louis. The Razorbacks will open its slate in the first year under head coach Courtney Steinbock after competing in five tournaments during the fall. The squad features some familiar faces, with Jackie Carr, Myrna Olaya, Shwetha Prabakar, Tatum Rice, and Martina Zerulo returning from last season’s roster. There are four additions to the team, as Lauren Alter, Thea Rice, Laura Rijkers, and Miruna Tudor joined the Razorbacks in the offseason. The Owls have one match under their belt before hosting the Hogs, falling 7-0 to Kentucky Wednesday. This will be just the second time in program history that the Hogs will face Kennesaw State, earning a victory over the Owls in 2013. The Billikens will face Missouri Friday afternoon in their season opener before making the trip to Fayetteville Sunday. This will be the ninth time that Arkansas will face Saint Louis, with the Razorbacks going undefeated in the series. The first match at Kennesaw State will begin at 9 a.m. (CT), with the second match to follow. First serve at the Dills Indoor Courts is set for 5 p.m. on Sunday.